PORT KLANG, April 30 (Bernama) — The Selangor Halal Hub in Pulau Indah here, developed by Central Spectrum (M) Sdn Bhd, a subsidiary of Kumpulan Hartanah Selangor Bhd, has evolved to become a fully-integrated development for high-technology and modern manufacturing activities for halal products. Central Spectrum chairman, Raja Idris Raja Kamaruddin, said although a big chunk of the 280-hectare hub has been sold, only five firms had started operations, while another 18 other companies or land owners had not developed their land. 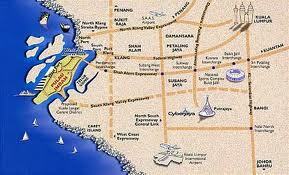 He said in 2012, Pulau Indah attracted investments worth RM313 million. “The investments in 2011 were RM1.435 billion and 2010 RM1.3 billion,” he said at the launch of the company’s sales gallery here Tuesday. Raja Idris said another development planned for Pulau Indah was an integrated township on 478.4ha in Sections 9, 10, and 11, which will be called “Pulau Indah East” project. He said the township has been carefully planned to incorporate a town centre, 2,500 units of houses and recreation park along the river similar to Venice. “When completed, the area will have a population of at least 20,000. “With this project, Pulau Indah will be able to provide business opportunities and jobs to the local residents,” he said.